Government Boiler Scrappage Scheme - Are You Eligible? ?Please note that this scheme is now closed. There may be other schemes available in your area – please visit our guide to Boiler, Central Heating & Insulation Grants 2018 for more information. Alistair Darling, The Chancellor of the Exchequer announced in his Pre-Budget Report new measures to introduce a boiler scrappage scheme in an effort to build a reduced carbon recovery for the UK. Darling said "Building on our successful car scrappage scheme, I will help up to 125,000 homes replace the most inefficient boilers with new models." 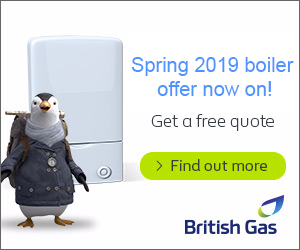 The boiler scrappage rebate offers householders with a boiler rating of ‘G’ or unrated £400 to incentivise the replacement of these older models that add around £200 in energy bills and produce more than one tonne of carbon every year. How Do I Apply For The £400 Rebate? The scheme is capped at 125,000 households which are urged to source quotes for a boiler replacement at the earliest opportunity. For more information about the eligibility of boiler models please refer to our boiler scrappage rating page. 7.36 Installing an efficient heating system can be another cost-effective way to cut household energy bills and carbon emissions, as domestic heating accounts for 13 per cent of UK greenhouse gas emissions. 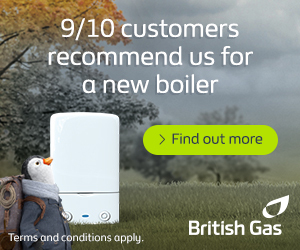 Replacing an older boiler with the latest efficient models can reduce a household’s energy bill by around £230 a year. The Pre-Budget Report announces a £400 incentive to help up to 125,000 households upgrade their boiler, available to those who buy a new boiler or renewable heat unit to replace a working G-rated boiler. The Government will work with industry to launch the scheme at the earliest opportunity in 2010. Remember, you must be in possesion of the voucher before having your boiler replaced, you need to use it within 12 weeks of receipt. PREVIOUS POST Which is the Best Combi Boiler in 2019?